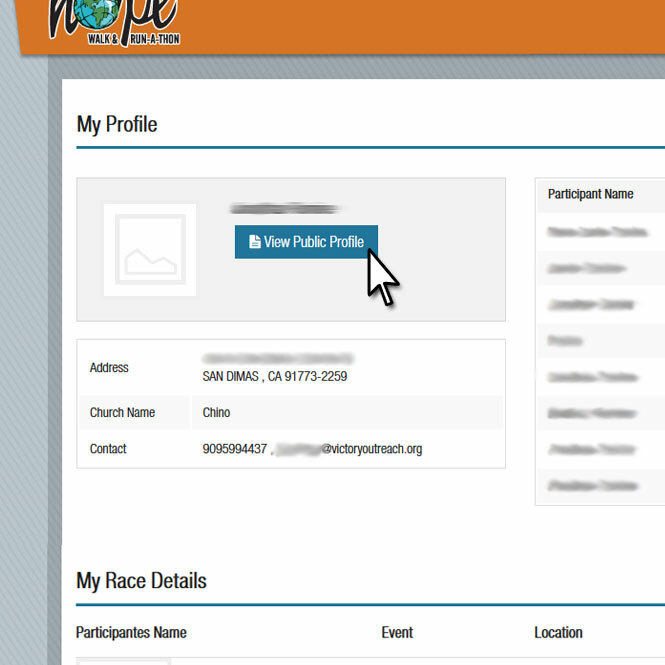 Thank you for visiting Run 4 Hope site ! Having a hard time getting started? We are here to help! 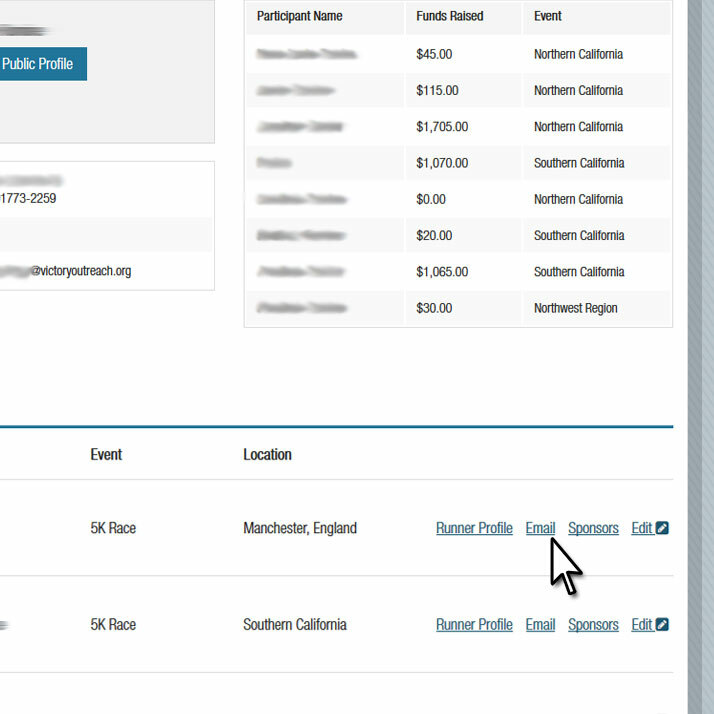 Once you selected a location you would like to participants in Click on the “Proceed To Register” button. If you do not have an account, Click “Register” and fill out all the necessary information required. Fill out all the necessary information required for your specific event location. Once you have logged into your account you will notice a new menu item has been added to the main navigation section called “My Account” click it. 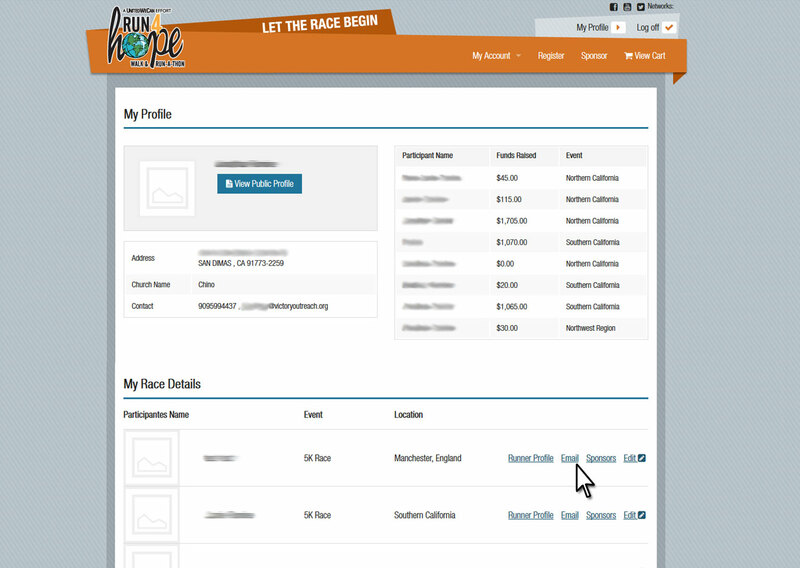 After you finish registration you will have access to a few tools that will help you raise funds and keep track of the amount donated. To send a request along with your personal fund raising web link via e-mail, click “email”. Copy, paste the email template letter and feel free to add your personal touch. 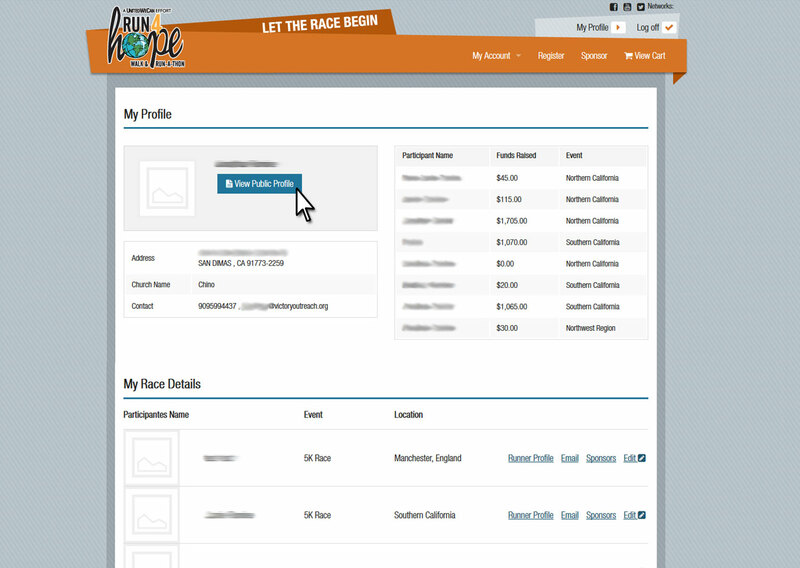 To send a request along with your personal web link “social media”, Click View “Public Profile” or for mulitple events click “Runner Profile”. 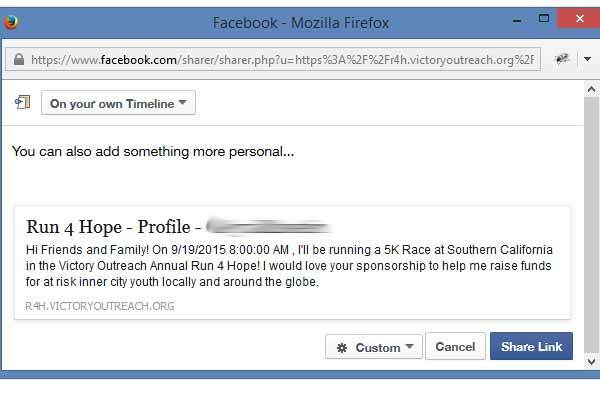 Once on your Public Profile page you just click the social media icons in the right corner of the page to share.